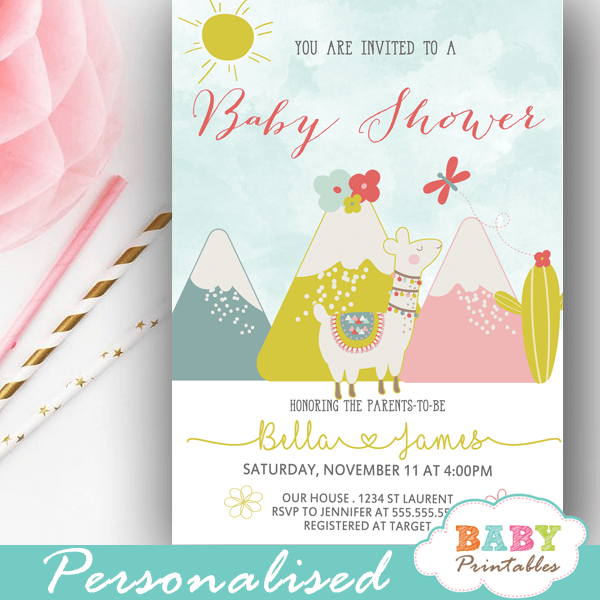 The cutest Llama baby shower invitations to celebrate your little one with a gender neutral fiesta in a joyful whimsical design! 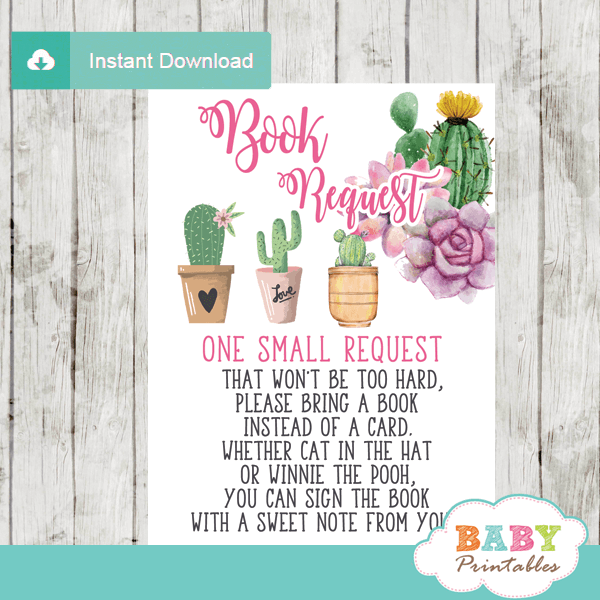 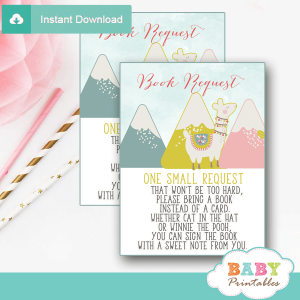 These Llama baby shower invitations feature a happy alpaca in front of Andean mountains in fresh light, pink and blue color combo with cactus, flowers and a butterfly against a blue sky backdrop. 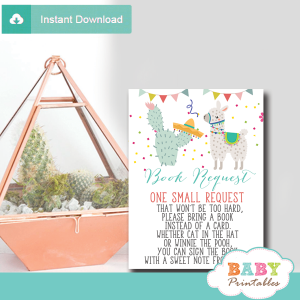 These llamazing Llama invitations are perfect for gender neutral fiesta themed baby shower full of llove. 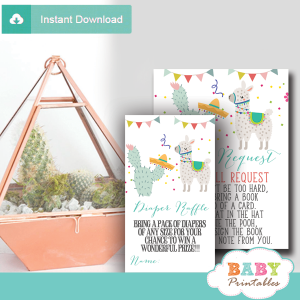 ★ Click here to view matching llama baby shower theme supplies.